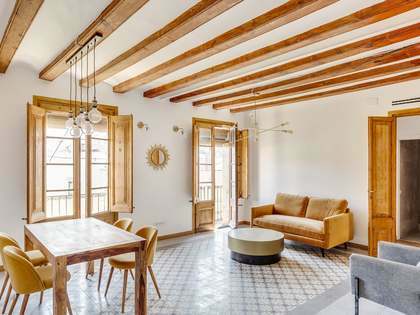 Lucas Fox offers a wide range of El Born real estate for sale, including properties that have been extensively renovated whilst preserving their charming original features. 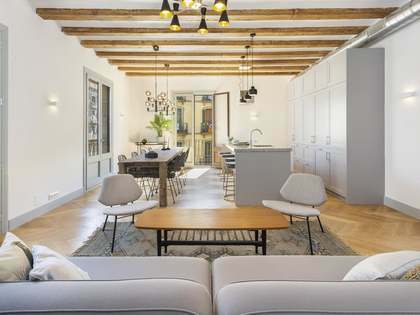 Wooden ceiling beams, exposed brick walls, floor-to-ceiling windowed doorways that lead onto balconies and ornate cornice decorations are often preserved during renovations, which have served to open up many properties to more light and space. Forming part of the Ciutat Vella (Old Town) of Barcelona City, the district of El Born has its own distinctive character. 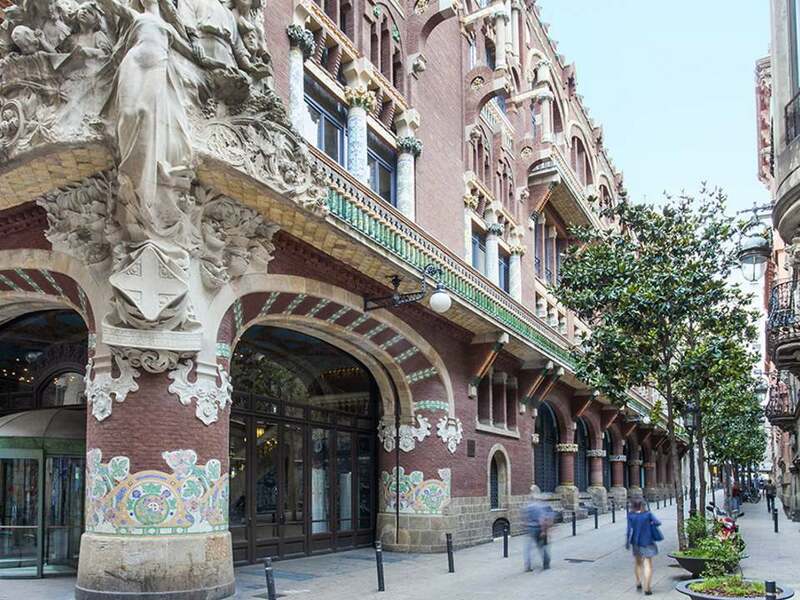 It is one of the city's most sought-after areas, especially amongst international residents who want to enjoy the best that Barcelona has to offer. The area has a large expatriate community, with access to numerous amenities required for a family lifestyle. It offers several schools and is bordered by the Parc de la Ciutadella, a popular park for families and children. The area also offers many boutiques and is peppered with superb dining opportunities, tapas bars and live music venues. 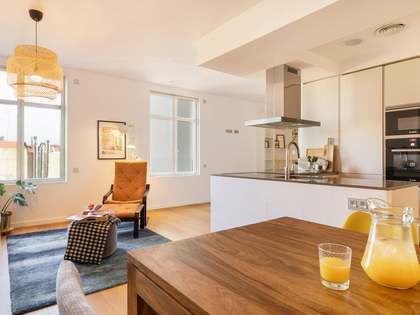 Business owners often enjoy living in El Born for its international feel, as well as its easy access to the office spaces of Eixample and its proximity to the city centre. 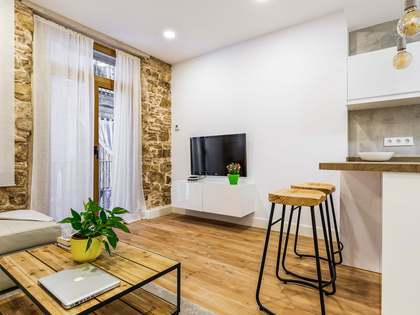 El Born properties for sale straddle the heart of the Old Town and the beachside neighbourhood of Barceloneta, and are within easy walking distance of both. 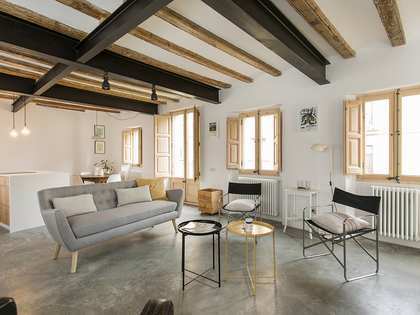 There are also excellent transport connections in every direction, including easy access to the airport, a regional railway hub at Estació de França and extensive metropolitan-wide bus and train services throughout the neighbourhood.